Recording Connection mentor Joel Valera (Krayzie Bone, Andre Paganelli, Audible) is not one to mince words. If you ask him what he looks for in anyone he accepts as an extern, he’ll tell you having an open mind and being willing to learn what it takes to work in multiple genres is of paramount importance. That’s often the reality of working in audio. If there’s a need, you should be capable of meeting it with a solid, well-rounded skillset. 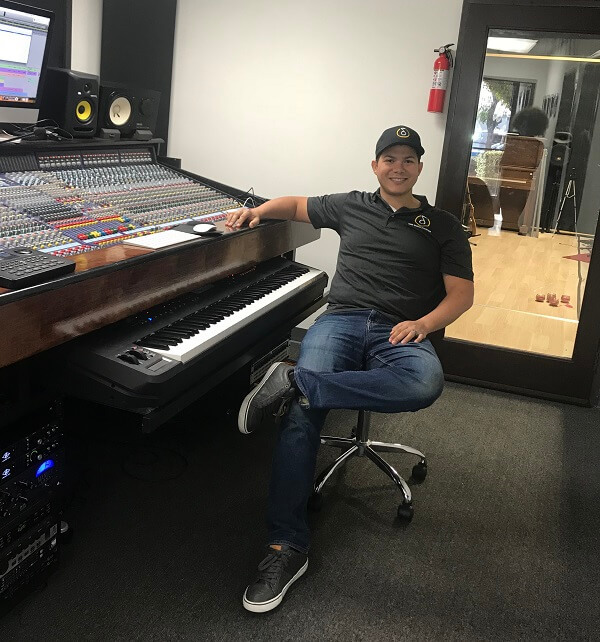 Thanks to Joel’s can-do attitude, his One Music Studios (Rancho Cucamonga, CA) has seen tremendous growth over the past few years. So much so, that he’s now in his second, larger location where he records and produces music across the musical spectrum, from funk to reggaeton, jazz to rock, hip hop to pop, worship music, and beyond. He also does audio for television, radio stations, and various media outlets, making Joel a multifaceted powerhouse with ample knowledge to share. 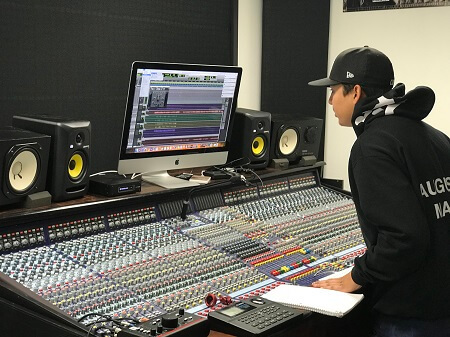 We recently caught up with Joel between sessions to learn more about his experiences, the qualities he looks for in those he trains, and to talk about one student who’s running sessions on his own just weeks into the Audio Engineering & Music Production Program. We hear you’ve been extremely busy there at One Music Studios. What’s been going on? What’s your approach to mentorship? So Recording Connection student Adrian Lopez has stood out to you. What has he been doing right? “Well, something that Adrian is doing is that he’s doing a lot of hours. I think that’s what is allowing him to excel…He wants to keep on coming on his own time, and I’ve got no problem with letting him come more hours. So far he is capable to run a few sessions by himself, which is, of course, impressive. He’s pretty much running the show. So what do you look for in the students you train?